Mobile handset manufacturers have been releasing various “green” phones, usually attaining their eco-friendliness tag by being constructed from recycled plastics, such as the Motorola W233 Renew, intended to be a cheap, entry-level phone. 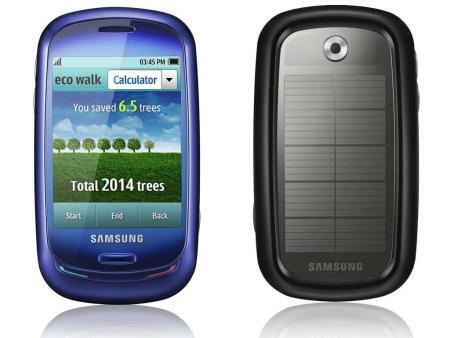 It looks like Samsung is upping the ante with the release of the Samsung Blue Earth featuring a solar panel on the backside in addition to being made from recycled materials. Being a touchscreen phone with quad-band GSM and partial 3G support (no 3G support in the US, at the moment) this is definitely a more serious phone than the Renew. The CNet review suggests that the call quality may not be up to par, but still it’s an interesting glimpse into what the future may hold for eco-conscious consumers.